Happy Valentine’s Week, everyone. 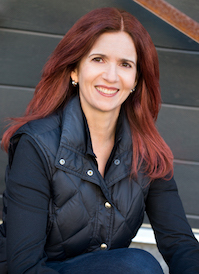 Today, I’m visiting fellow Champagne author Audra Middleton’s blog. Please stroll on over to learn why I love to write romantic stories. I also share a few of my husband’s romantic gestures and chat a little bit about HAVEN, my urban fantasy romance, coming in July. Roses Photo – Copyright 2013 Elinor Mills, all rights reserved. Used with permission.